The term “culturally responsive teaching” has been around for decades, but it seems to have gotten more attention in recent years. That’s good news: With our classrooms growing more diverse every year, teachers should be more interested in how they can best teach students from different backgrounds. The not-so-good news is that in some cases, teachers think they’re practicing culturally responsive teaching, when in fact, they’re kind of not. Or at least they’re not quite there. And that means students who might really thrive under different conditions are surviving at best. We all want to do better for these students, but how to do it still hasn’t become common knowledge. To move the needle forward a bit more, I invited Zaretta Hammond to share some common misconceptions teachers have about culturally responsive teaching. She is the author of the 2015 book Culturally Responsive Teaching and the Brain, which offers a neuroscience-based teaching framework that goes beyond surface changes to really build cognitive capacity in our students from diverse backgrounds. When I read it, I realized that true culturally responsive teaching isn’t as simple as I thought it was; it’s much more holistic. In fact, in most cases, it wouldn’t even look “culturally responsive” to an outside observer. Regardless of where you are in your own understanding of this subject, taking a closer look at these four misconceptions should help you refine it a bit more. 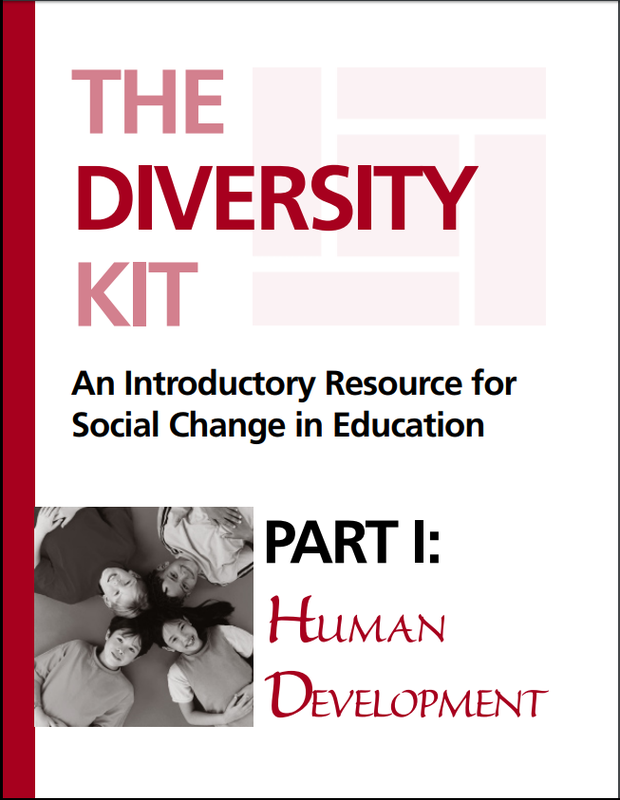 Misconception 1: Culturally responsive teaching is the same as multicultural or social justice education. Educators’ efforts to create classrooms where all students succeed can be sorted into three categories. Although the groups can overlap, they are not interchangeable; each one approaches diversity from a completely different angle. 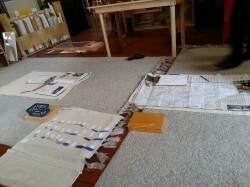 Understanding their differences will help you label the work you’ve already done and figure out your next steps. Multicultural Education is, according to Hammond, “the celebration of diversity, what we usually see in schools. While those are really noble things and critical to a high-functioning classroom and school climate, it doesn’t have anything to do with learning capacity.” Although there is value in students’ seeing their own cultures reflected in places like the classroom decor, it won’t impact their cognitive abilities. Culturally Responsive Teaching “is about building the learning capacity of the individual student,” Hammond says. “There is a focus on leveraging the affective and the cognitive scaffolding that students bring with them.” The simplest way to judge whether your teaching is culturally responsive is whether your diverse students—students of color, English language learners, immigrant students—are learning. If they are not succeeding academically within your classroom norms, your approach might need to be more culturally responsive. To learn more about the differences between these three approaches, download Hammond’s Dimensions of Equity chart. Misconception 2: Culturally responsive teaching must start with addressing implicit bias. Many diversity trainings and other efforts to build teachers’ cultural competence start by having teachers examine their own implicit biases. Although this is essential, Hammond says, it may not need to be the very first step, because that can delay (or sometimes replace) a shift in instructional practices. When the time comes to address implicit bias, Hammond’s tools for interrupting implicit bias will help. Misconception 3: Culturally responsive teaching is all about building relationships and self-esteem. Misconception 4: Culturally responsive teaching is about choosing the right strategies. This “plug and play” misconception can lead teachers to do things like adding call-and-response to their classroom routine, then assuming they have done enough to reach diverse students. While this strategy is often included in culturally responsive toolboxes, if a teacher doesn’t take the time to learn how to use call-and-response to deepen student thinking, it might never serve a purpose beyond fun. You can learn more about Zaretta’s work at Ready4Rigor. Join my mailing list and get weekly tips, tools, and inspiration—in quick, bite-sized packages—all geared toward making your teaching more effective and fun. You’ll get access to our members-only library of free downloads, including 20 Ways to Cut Your Grading Time in Half the e-booklet that has helped thousands of teachers save time on grading. Come on in!! What an important post. I humbly and readily admit after reading this, that I have subscribed to some of these myths. I wonder if I might link this post to the resources on socialleadia.org? In the book I have a chapter on justice and character and I think this would make a great addition. Please let me know what you think. Jennifer, that would be great. Thanks so much for sharing it! Thank you! This was a great podcast– informative, important and timely. When the Thirteen Colonies first established, their driving premise was always, “If You Don’t Work,Then Don’t’ Eat.” However, under Adam Smith where we were introduced bank accounts throughout the Americas which meant that you did not need work, but you could eat. When those bank accounts voluntarily went back to Europe in 2005, as the New Economy gains its momentum, we find ourselves right back in class of, “If You Don’t Work, Then You Don’t Eat.” Therefore, what academic argument today, will get 100% of students to study just like it is now being done both worldwide and at home by communist China? Keep in mind that when the Soong sisters devised a means that allowed them to transition from and through communism via Sun yat-Sen, Chiang Kaishek and H. H. Kung to what we see today….. Thank you for the informative post. I really learned a lot about culturally responsive teaching and will be able to apply this knowledge to my classroom when I finish school. We have touched a little bit on CRT in some of my classes, but this has been the most informative so far! I found this article extremely interesting and I have put Zaretta’s book on my summer reading list. I think that we are fortunate that our practice is explicitly tied to the needs of diverse learners and the requirement for teachers to be culturally responsive. Reading this article has highlighted the need to be vigilant in this and ensure we are fully committed to meeting these needs. Christine. Thank you for your thoughtful response. I appreciate you pointing out that it isn’t about a single strategy linked to the students culture, but about the quality of the relationship and interrupting cultural assumptions on the part of the teacher . 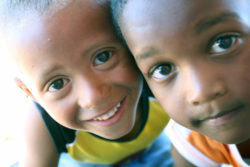 This also means teachers have to develop a bi-cultural (and often tri-cultural) lens that allows them to see diverse students holistically and recognize their learning behaviors that are grounded in their indigenous culture, which often includes elements not common in White dominant culture — connection to ancestors, learning through emotions & spirit, learning by apprenticeship, etc. It doesn’t matter if we are in New Zealand or New York City, the needs of diverse students have to be repositioned to be at the center rather than at the margins of the education system. hi, just a note that many theorists would include culturally responsive teaching as one aspect of multicultural education. Hi! A quick thought about Nov.20 Guest’s comment. I would agree that among theorists the concept of multiculturalism is slightly different than what’s become popular in schools. James Banks, the father of multicultural education talks about an “equity pedagogy” at the core of the stages of multiculturalism. When I use the term “multiculturalism” I am referring to its popular “It’s a Small World” connotation seen in schools. This is very different than what Banks envisioned around “culturally responsive” teaching. For him, this was the highest articulation of multicultural education as he outlined it. For all educators, his original work is worth reading. Somehow, I missed this podcast even though I am on your mailing list, but I am grateful that our staff development team at my school asked us to listen to your conversation with Zaretta Hammond. 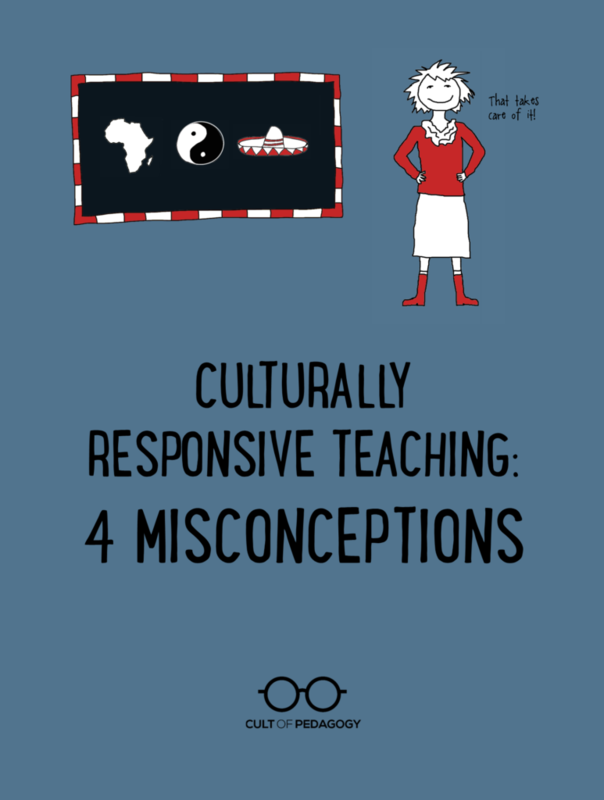 Zaretta’s explanations of misconceptions helped me to better understand what Culturally Responsive Teaching is not, which helped me to better understand what it is. No one at my school or in my district has been able to explain it as well as Zaretta did in this podcast. I always felt like I was missing something and doing something wrong. I loved hearing Zaretta say that Culturally Responsive Teaching is about “accelerating students’ learning.” I have felt for a long time that we have been told it’s all about building relationships, which it is to a degree, but it’s also about building trust to help students grow exponentially in their learning. I teach 8th grade English, and I am amazed every year about how so many of my students have not had high expectations of them by their teachers – it’s so obvious. There is so much more I could say, but I will stop here. You don’t need a novel from me. Thank you again, Jennifer and Zaretta, for a thought-provoking and eye-opening conversation. Allison, thank you so much for taking the time to write. It really means a lot to me to know that this filled some important gaps for you. I would highly recommend Zaretta’s book, as it goes much more in depth than we did in this interview. Be well! I have her book. Will be reading it! This summer I took a short professional development class on Culturally Responsivre Teaching. I thought it would be interesting, and I didn’t think I would learn that much. Lol I am happy to say that I was wrong!! It was so informative, my wheels were spinning, I wanted more ASAP. I went home and ordered the book, and found a University that offered an independent learning program whereI could create my own summer learning. I dove in and was reading, speaking, dreaming CRT all summer. It spoke to me as I have been teaching ESL for many years and now I am teaching at an alternative hs. I want to continue learning more and helping my school to move forward in Culturally Responsive Teaching. I just wanted to share and express my gratitude. This is so great to hear, Gerri! Thanks so much for sharing — I’ll make sure Jenn see this!!! Such an important podcast–thank you for the opportunity to hear Dr. Hammond speak about this important issue. In my project, we’re creating professional development specifically for community college educators. I would love to share the tools for interrupting implicit bias, but the link is not working. Can you update the link? Thank you, again, for a wonderful podcast!! Thanks for the heads up! We’ll get that fixed as soon as we can — in the meantime, here’s a link to Four Tools for Interrupting Implicit Bias. Your definition of multi-cultural education appears to based on a decades-old approach. While certainly there are those who think it means “small world” pot-luck dinners, heroes, holidays and folk dancing, that was debunked LONG ago. Nevertheless, your contrast of ME with culturally responsive teaching is valuable. Thanks for sharing. Unfortunately, we’ve seen evidence that some of these dated approaches are still happening in schools which is one of the reasons for putting this information out there. I agree that the idea of multicultural education as a route to equity has been largely debunked. But it is still largely how many schools are implementing their equity agenda, especially where the majority of faculty are White educators and the student body is diverse racially, ethnically, and linguistically. The Dimensions of Equity chart grew out of my attempt to help teachers clarify their misconceptions about culturally responsive teaching (which they thought was about valuing diversity through multiculturalism). Multiculturalism plays into the notion of “color blindness” as being the route to equity. We know this isn’t true and actually works against building cultural proficiency as the necessary mindset for that gets an educator ready to take up culturally responsive teaching. A key point I share with educators when we review the chart together is that multicultural education doesn’t address efforts to improve instruction or accelerate learning. That is usually an eye opener for them. Unfortunately, there are large numbers of leaders (principals, chief academic officers, and even superintendents) and teachers, who don’t understand the difference yet. I believe our collective work is to set the record straight about how culturally responsive teaching isn’t “our grandmother’s” multiculturalism from back in the day. Thanks for helping with that effort.